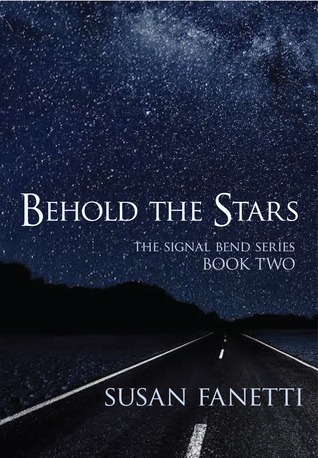 This is the second book in the Singal Bend series and it continues the story of Issac and Lilli and follows the Horde MC throught he attack on its town and the aftermath. This book had a different feel compared to the Move the Sun (my reivew). It was much more violent and the focus was not only Lilli and Issac but other members of the MC and the fate of Signal Bend. The writing still has the same solid, strightforward and raw beautiy we saw in book 1. The journey of the main characters in their relationship was well down and convincing. Lilli appreared weaker than before but I think it's understndable since she was so out of her element - being an old lady, living with Issac, being pregnant and on top of it all being ivolved in some horrific act of violance both as a victim herself and as a witness. The initial portion of the story was focused on Lilli and Isaac working things through in their relationship. There was depth to their characters and the journey they undego to their happily ever after. The middle section was non-stop violence and was overwhelming at times, espcially Show's story and later Lilli's encounter with Ellis. I was quite taken aback by it and wish it was toned down a little. My main issue is not with the violance itself - it can be expected when the Horde MC is involved in drug trafficking and other illegal activities. What bothered me was that the good guys were just as merciless and brutal in their retribution as the bad guys. I liked Issac and Show and Bart and most of the Horde brothers but still they resorted far too easily to physical violence and even torture to achieve their goals. I am not a big supporter of "The end justifies the means" philosophy. Final qaurter of th story took us back to the personal level of things and focused on Isaac and Lilli's relationship again. There was some painful moments and some heart-warming oneswhich left me with tears in my eyes. I liked that things worked out for everyone in the end but if felt too good to be true. It can't be that easy for former criminals and people who were forced to do or be involved in acts of cruelty and violance suddenly become upstanding citizens and just forget everything that happened before. It took away from the realistic nature of the rest of the story. The next book in the series, Into the Storm, tells Show's story and after suffering the ultimate loss, he deserves happiness more than anyone else in this series.